The Little People are said to be the dispossessed early tribes of the British Isles.They faded away into inhabited places, growing smaller and smaller with time as they were forgotten and passed into legend. The Tuatha de Danann, People of the Goddess Dana, ruled Ireland before the Milasian invasion. They were driven underground where they became the Daoine Sidhe fairies. The word Fairy is derived from the ancient “faunoe o fatuoe” which, in the pagan mythology, indicated the faun’s (deer) companions, creatures endowed with power of foretelling the future and ruling the human events. The word Fairy also comes from “fatigue”, which in Middle Ages was synonymous with “wild woman”, that is woman of woods, waters and, in general, of the natural world. Fairies are super natural creatures endowed with magic power, thanks to which they can change their appearance and make it change to the others. They frequent caves, rocks, hills, woods and sources; they are ready to help innocents and victims of persecution; they make up for a wrong, they avenge an offense, but they also can be malicious and vengeful. According to tradition, they are present at men’s birth in order to give them special gifts and influence their existence in a benevolent or malevolent way. Fairies are constantly attracted by every form of creativeness and, most of all, by instants of deep feeling, which they want to share. Lovers, poets, artists, writers, sculptors, weavers, musicians and all arts have to admit they are in debt to a unidentifiable force, which is invisible, capricious, sensible, delicate, incomprehensible and powerful, called “inspiration” or “Muse” which, when it is present, is generally irresistible. Fairy’s world is full of dark enchantment, of charming beauty, of incredible ugliness, of hard superficiality, of spirit, malice, joy and inspiration, of terror, laughter, love and tragedy. Their world is richer than fairy-tales make believe. When it comes to fairy food, we read stories to discover that mallow fruits are fairy cheeses, and dogwood fruits are pixie pears. Little cakes are another favorite fairy food, and if they are made with saffron, they are especially cherished since saffron is highly valued by fairies. What do Fairies Love ? Fairies love beauty and splendor, grace of movement, music and pleasure, everything in fact that is artistic. They do not like any sort of violent, brutal enjoyment. They hate greedy people who gather the last bit of grain, or drain the last bit of milk from the glass, or pluck the trees bare of fruit leaving nothing for the spirits who wander by in the moonlight. Always leave a bit of milk or drink in your glass at a feast and never pick the last fruit from the tree. Don’t stay up too late either, for fairies like to gather round after the family is in bed and drink and eat. If treated well, the fairies will bestow good fortune and reveal the mysteries of plant herbs. For acts of kindness bestowed upon the spirits, fairy blessings will come in the form of unexpected good luck. 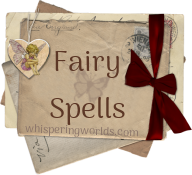 Fairies could bestow good fortune on people, but if they felt offended they could cast spells and cause mischievous trouble. Therefore be kind to a vagabond, for he may be a fairy prince in disguise, who has come to test the depth of your charity, and of the generous nature that can give liberally out of pure love and kindliness to those who are in need, and not in hope of a reward. The most popular pastimes of fairies are music and dancing. At night the fairies would rise from their homes and come out to dance away the hours of darkness. They especially love to dance in the evening of the full moon. When the morning sun begins to rise, the fairies vanish. 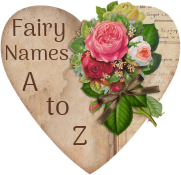 To learn more about Fairies, take a look at the Fairy Names Section and the Fairy Spells pages.